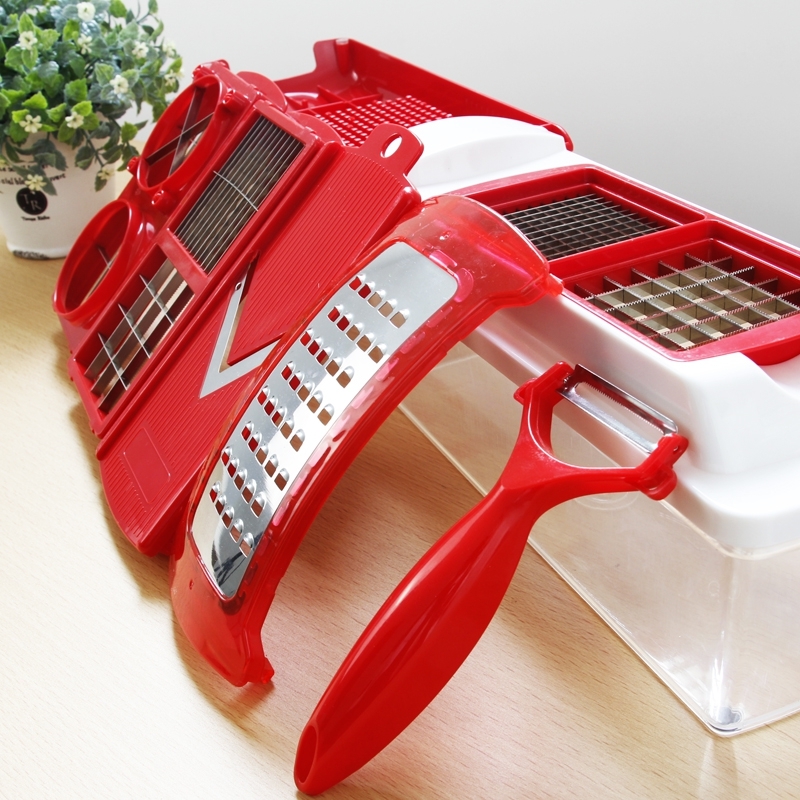 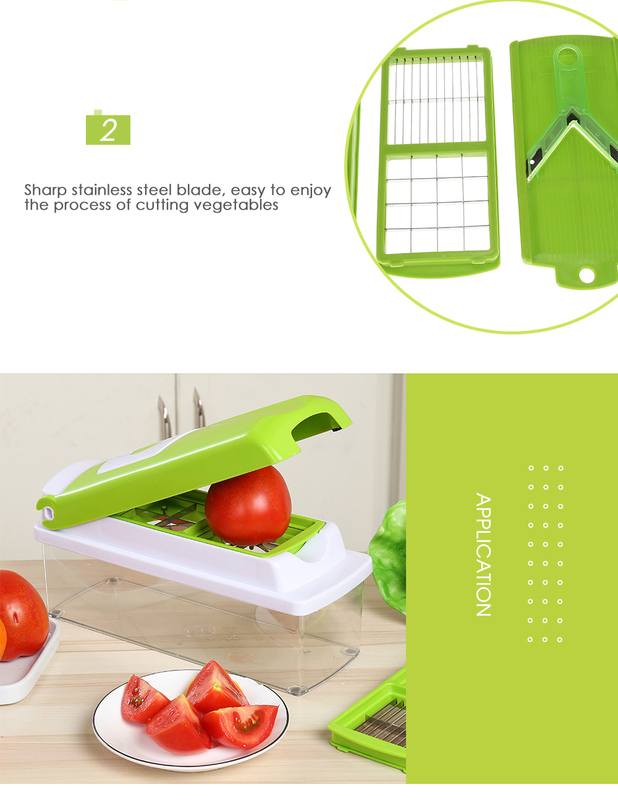 Work smarter, not harder in the kitchen with this 12 in 1 Magic Slicer! 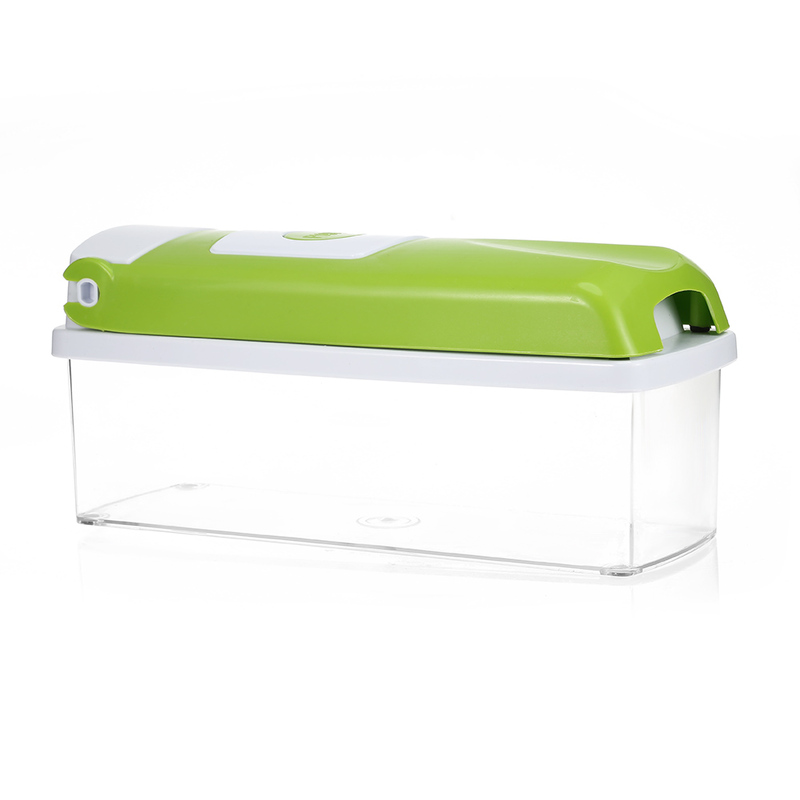 Constructed with BPA, PVC and Phthalate FREE material. 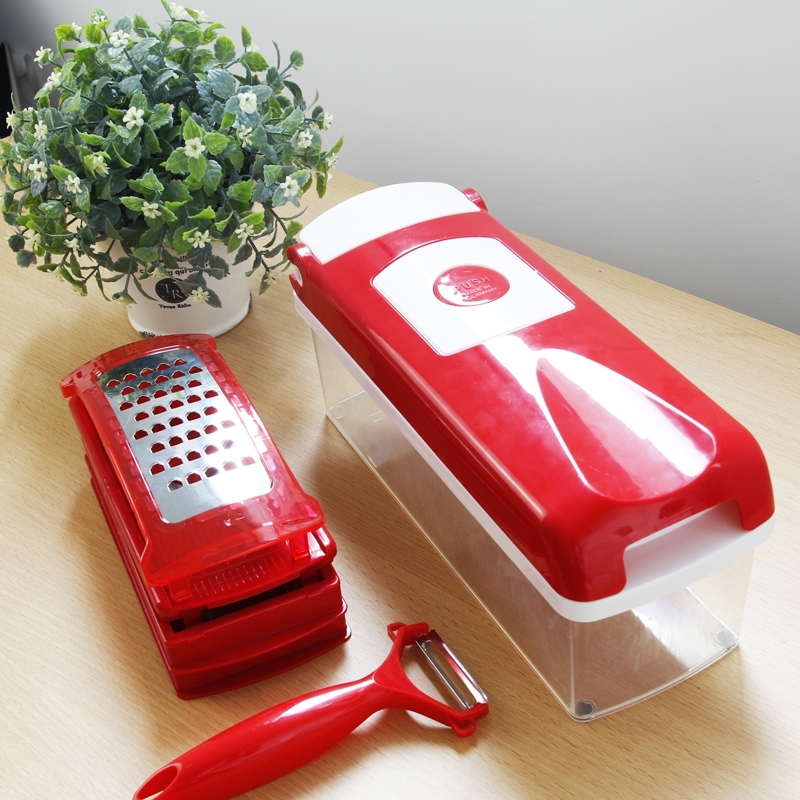 No longer will you have to chop and dice onions with all the crying, mess, odor, and clean-up. 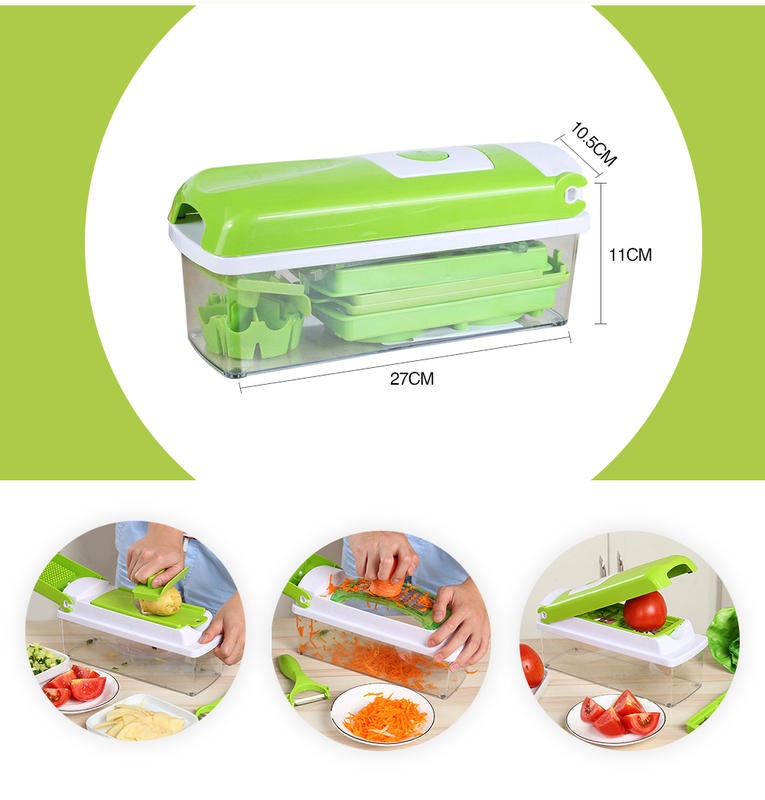 Just slice an onion or any firm vegetable in two, set half on the stainless-steel blade, then close the top lid and Voila! 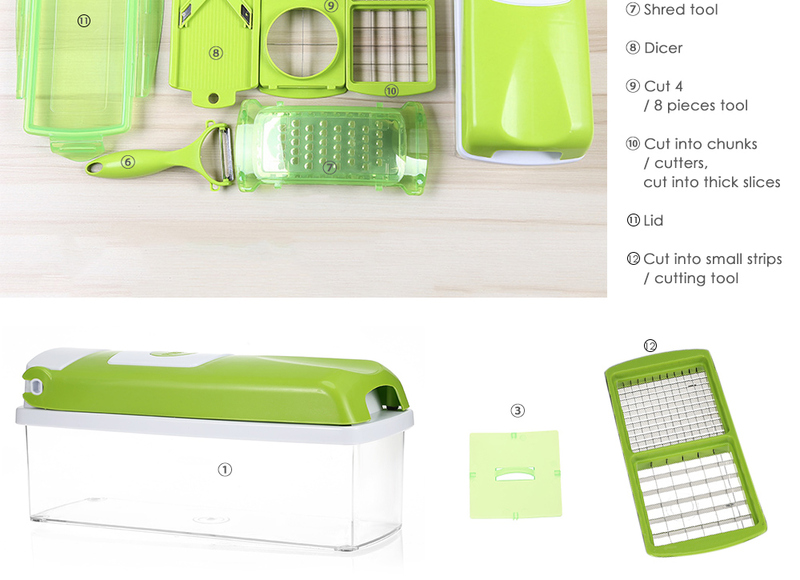 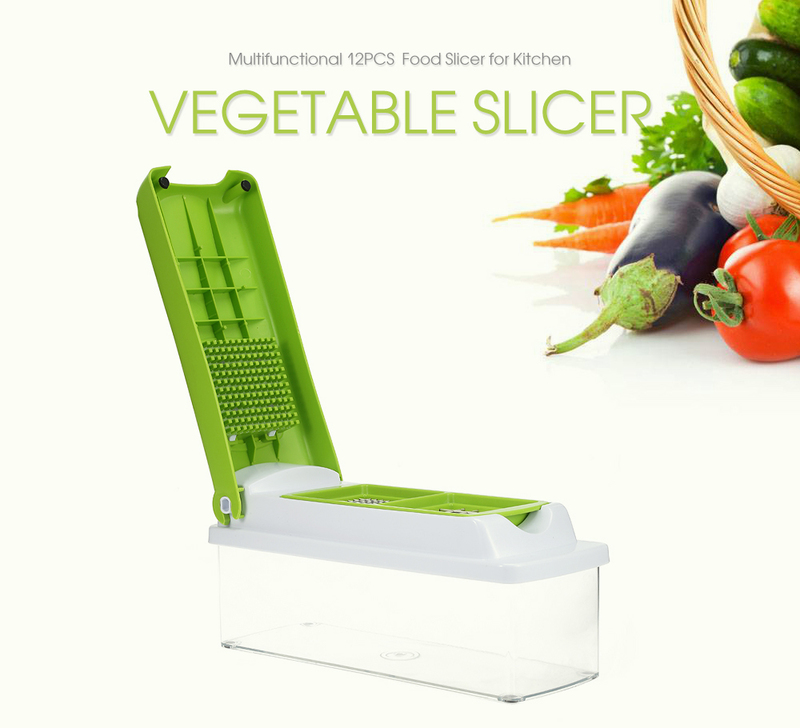 Your vegetable is now chopped, cut and stored easily for you. 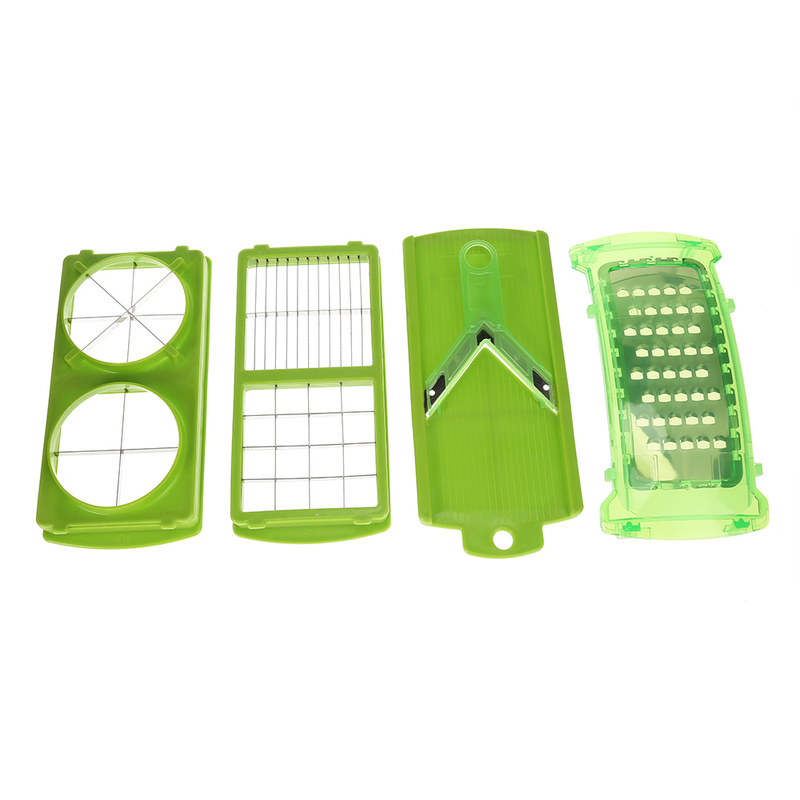 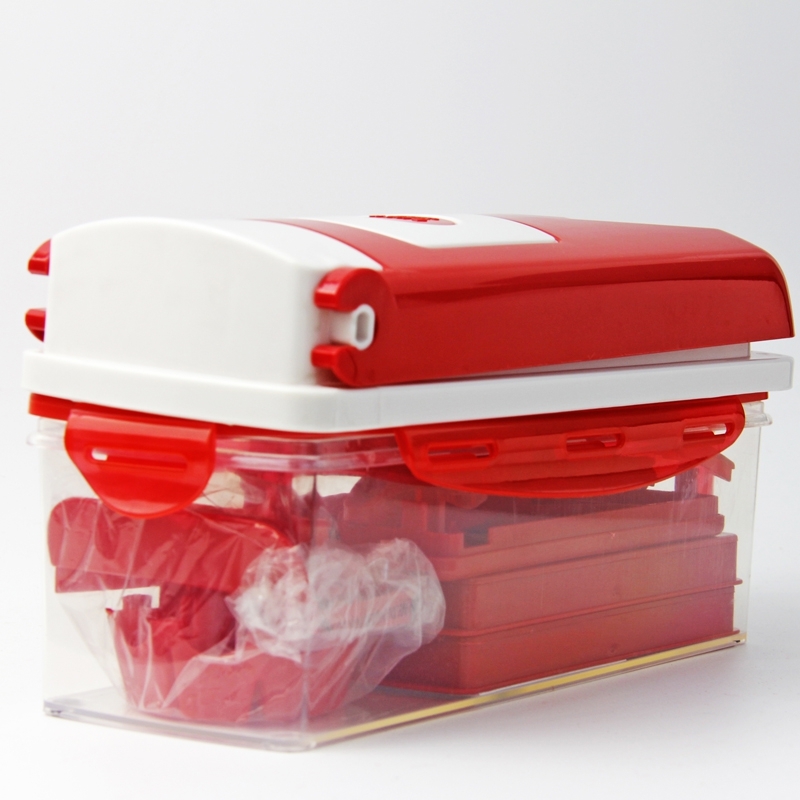 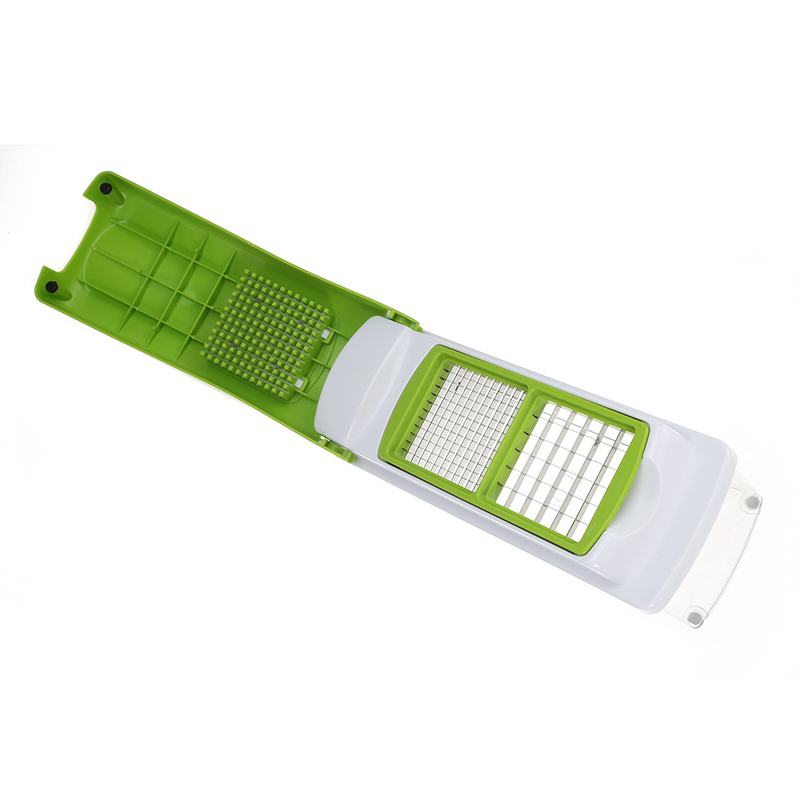 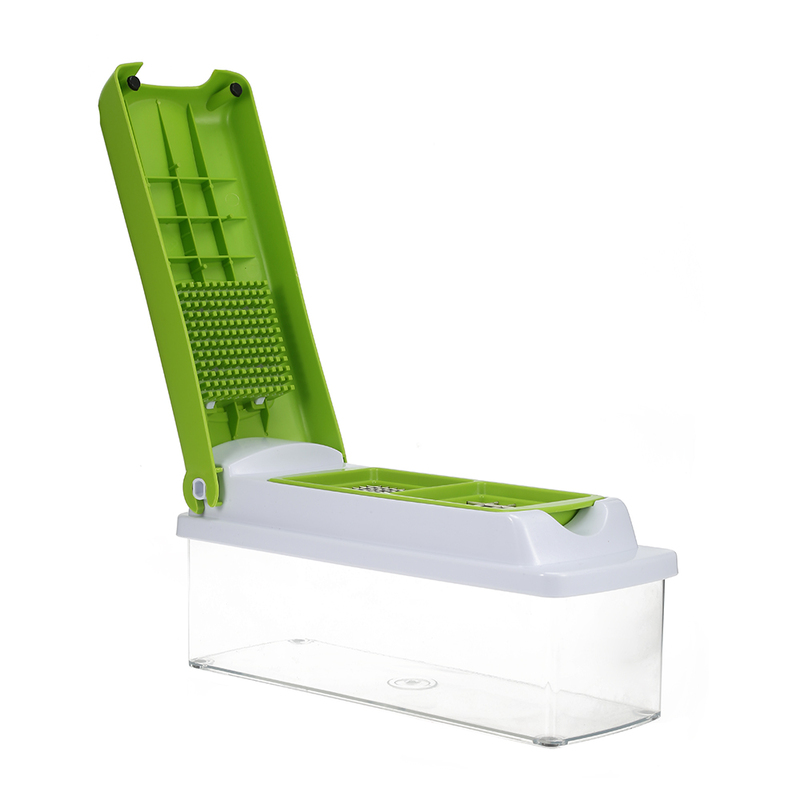 The cleaning tool conveniently removes foodstuffs between the pusher teeth or blades. 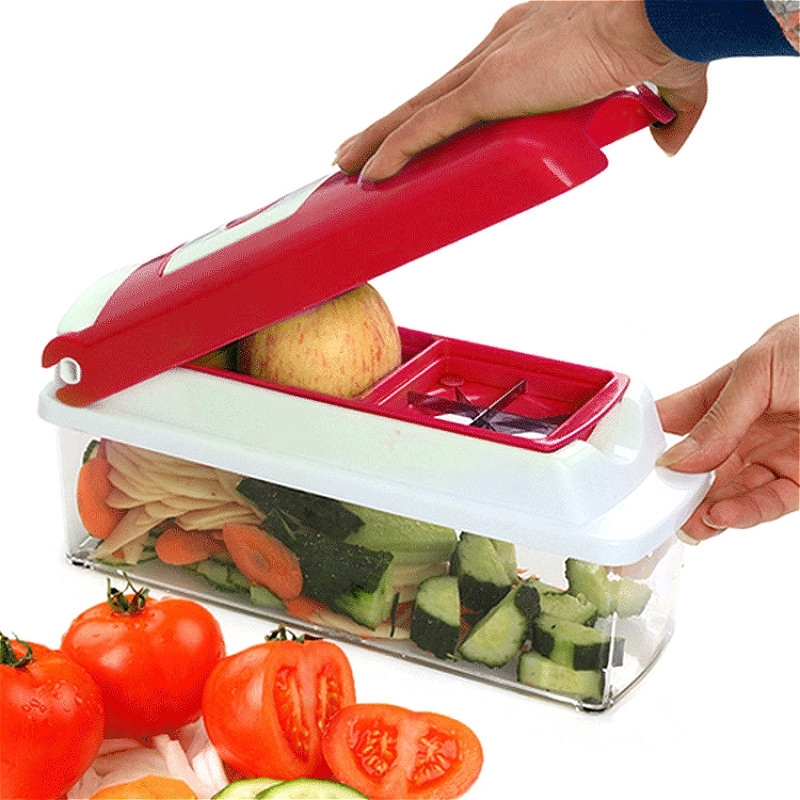 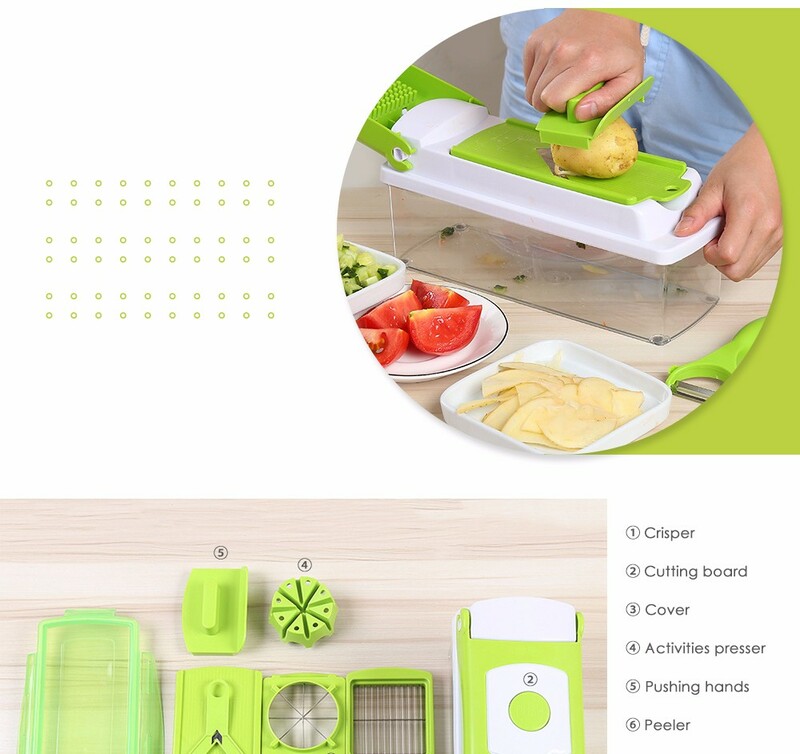 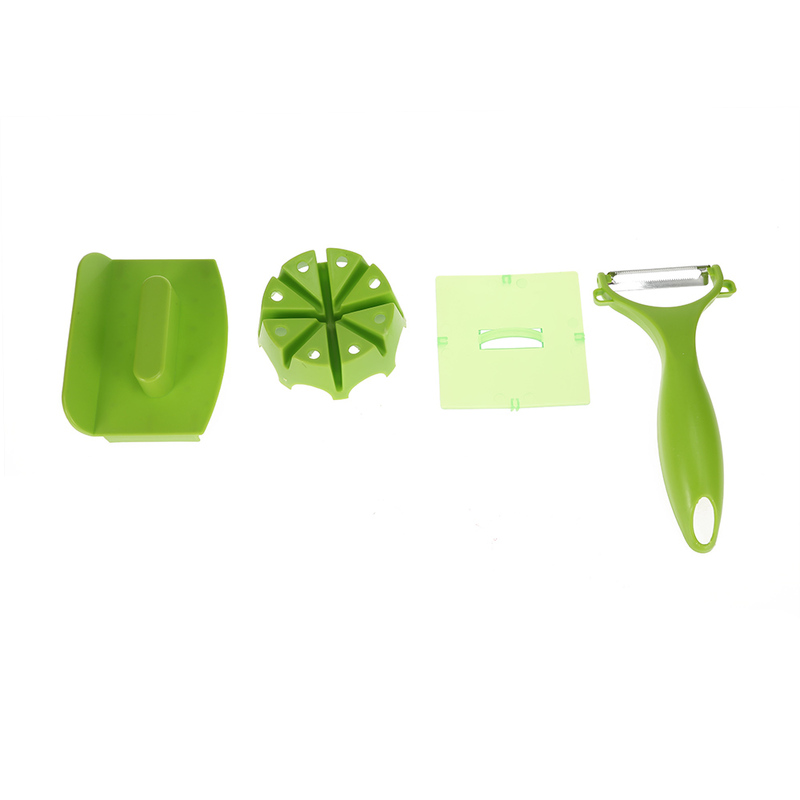 Convenient, compact and highly functional, this vegetable chopper is a must-have to make food preparation a cinch. 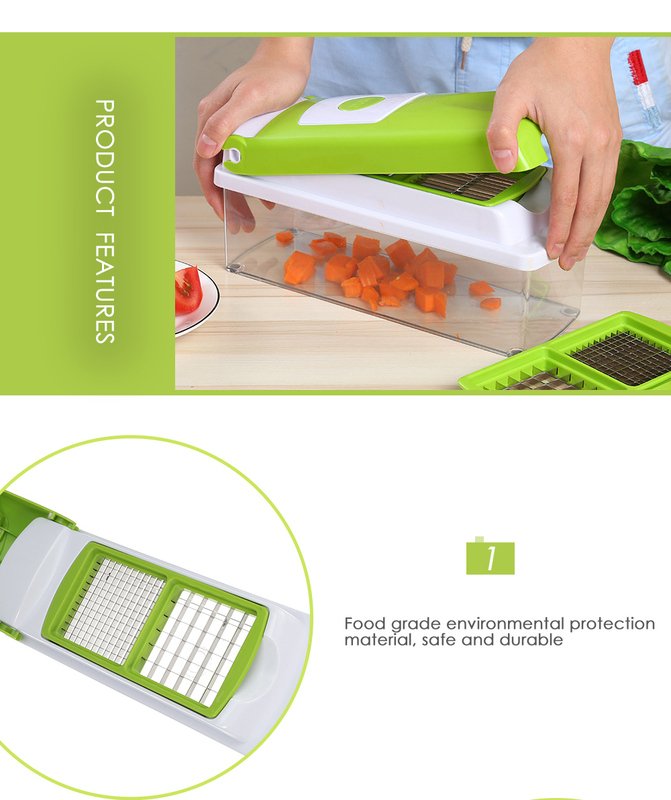 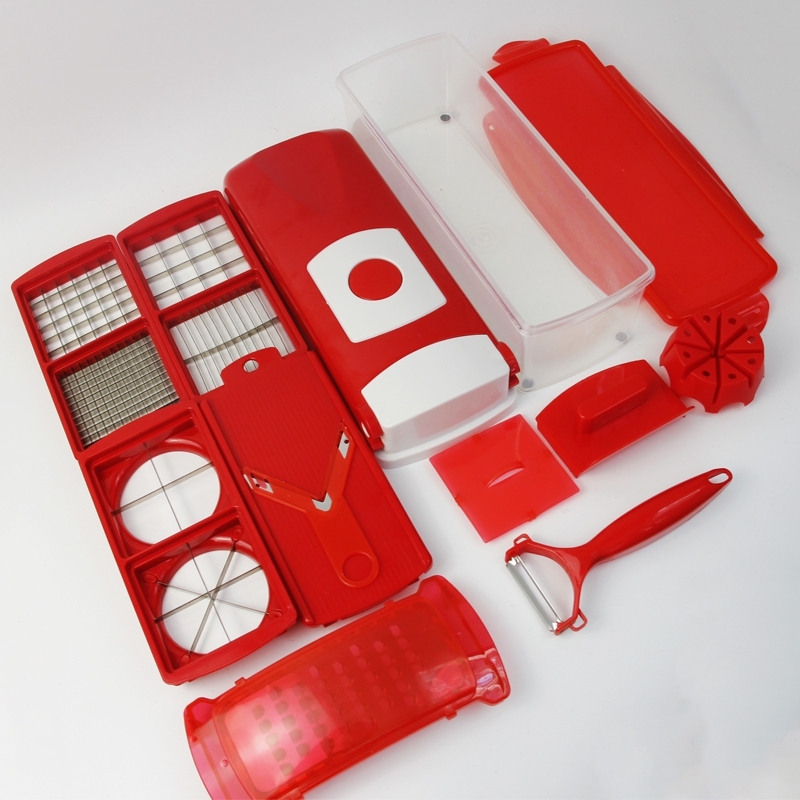 - Processing, filling, ding, tomato cleaning, lemon slice, etc.